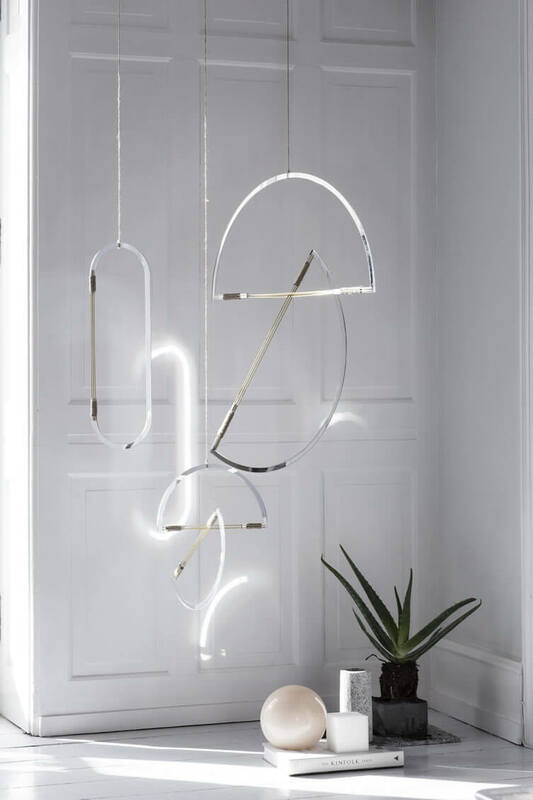 Owing to their minimalistic appearance, these Mirror Mobiles by Danish visual studio Elkeland are ideal functional objects for the unconventional home. 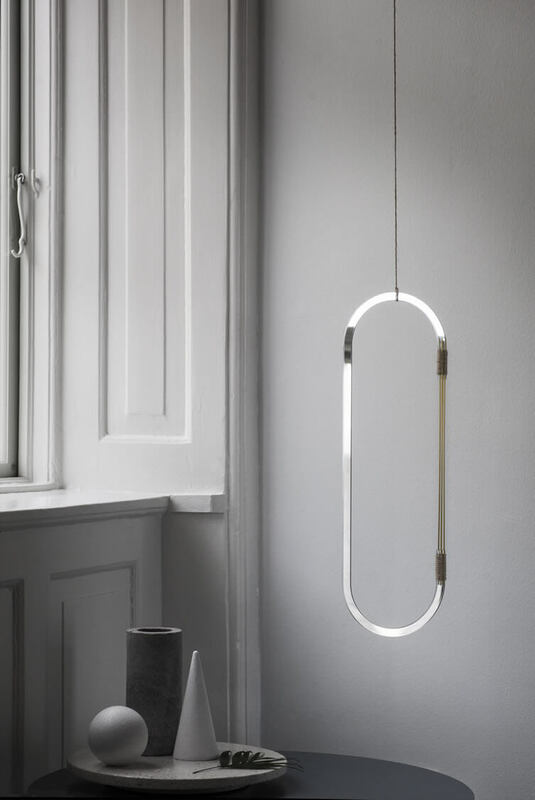 ‘Dedicated to slow processes, simple compositions and honest materials’; Ida Elke tells us how she favours contemplation and solitude, working from her ‘secluded hut, deep in the danish countryside’. 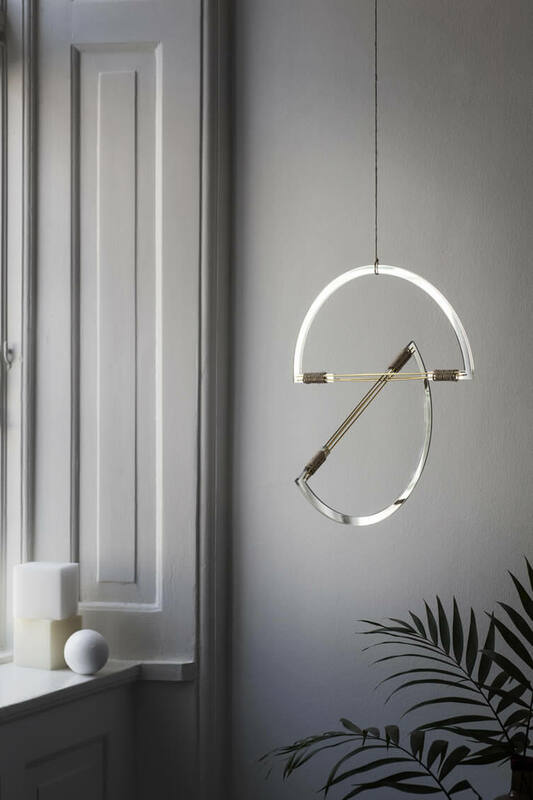 The mobiles, assembled by hand and made of double-sided acrylic-mirror and brass sticks, form a collection consisting of the Ellipse, Stairs and Halfmoons; all composed of geometric lines and sharing an altered perception in geometric shapes, space and surfaces. 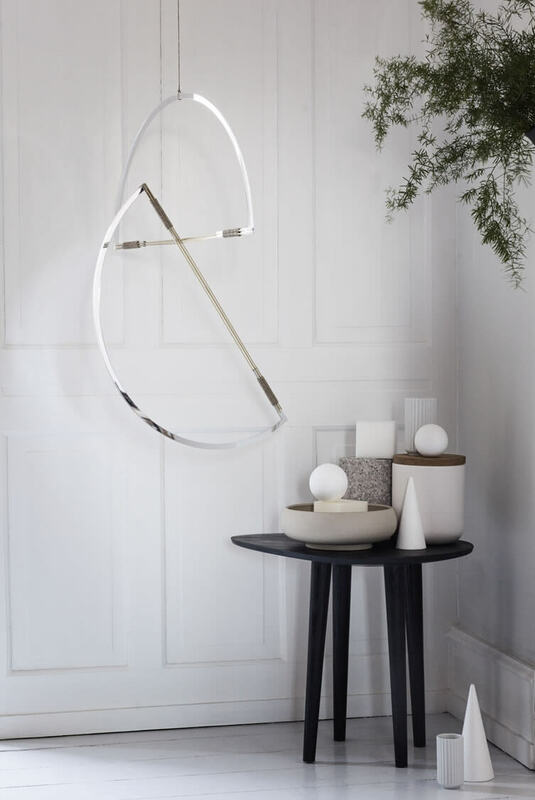 Thanks to the sliding intersection of the brass sticks, it’s possible to hang the Halfmoons mobiles — of which a small and larger version are available — in a multitude of ways.